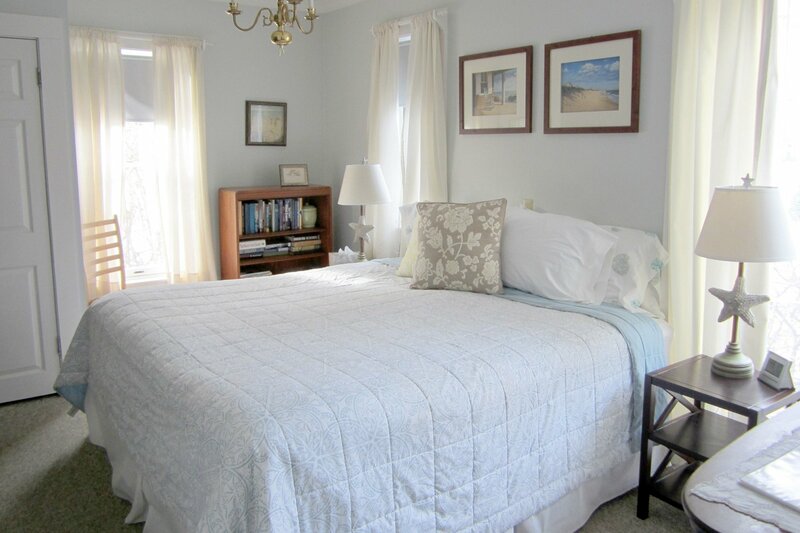 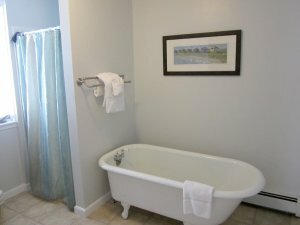 Our newest room at the Ipswich Inn, perfect for a special get-away, anniversary, or start to your honeymoon. The Veranda Suite is large ground floor suite beautifully decorated in soothing blue and green pastels and boasts a king bed and a comfortable pullout queen sofa. 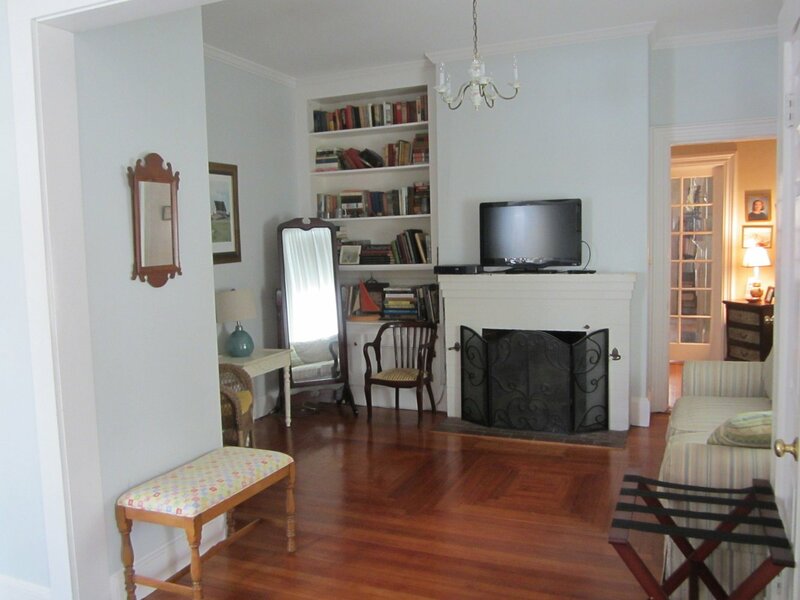 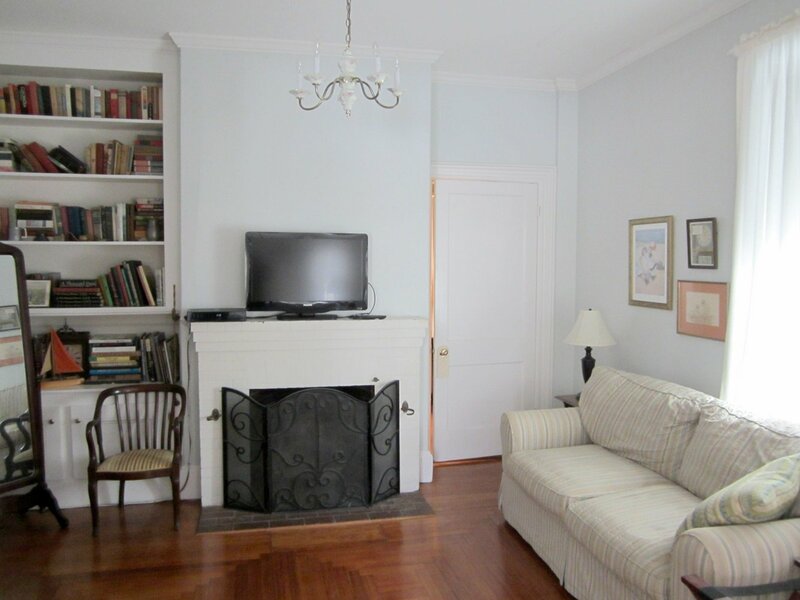 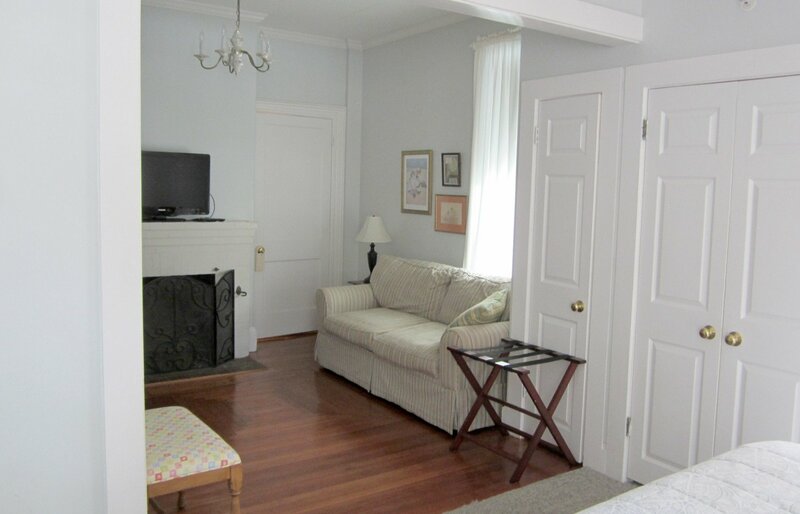 Enjoy the sitting area which has a 32" flat screen TV, library, fireplace and wet bar. The large bath has a clawfoot tub and separate shower.